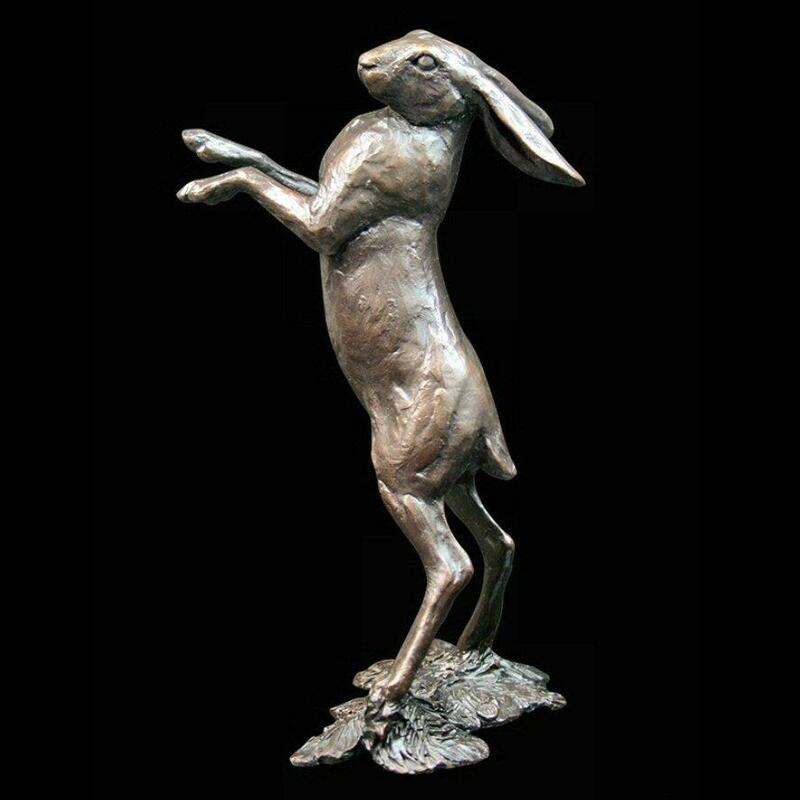 Finely crafted solid bronze sculpture of a hare standing by sculptor Michael Simpson. The hare scans its surroundings for danger - ready to sprint away at high speed if necessary. This keenly observed, limited edition bronze sculpture would be a ideal gift for a collector of Michael Simpson's work.